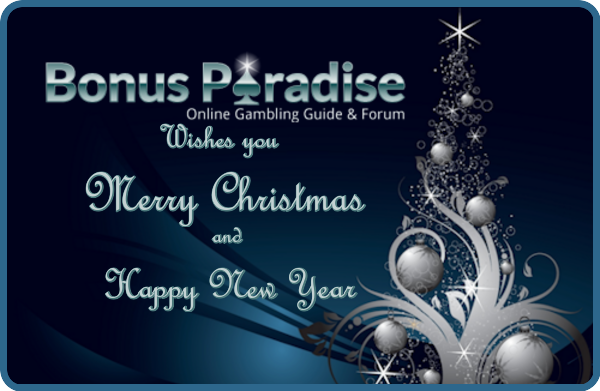 Discussion in 'Lets Talk about gambling and more...' started by Marina, Dec 22, 2013. We hope you can enjoy the holidays with family and friends! Merry Christmas and the best wishes for 2014 everyone. Thought I would share the fun we had today making the Gingerbread Village with the girls. They had so much fun and when we were done I made like Santa called and put it on speaker phone, it was priceless. Thank you for your nice post friends!!!!! MMM the Gingerbread Village looks yummy! Merry Christmas to everyone here in Paradise. May you all enjoy time with family and friends and find some peace and happiness. 2 More days and then we can welcome 2014! I hope 2014 will be a good year for everyone! Thank you Mike, you to!! 2013 went super fast! As 2013 comes to a close, how will you celebrate New Year's Eve? Big night out with friends? Quiet night home with take out? Yeah hope everyone has a really nice New Year's Evening. Here you may shoot fireworks already from 10:00 am on. So Mike and Sarah will be in the garden most of the day. I hope they still have some nice rockets left for midnight then to welcome 2014. I am really looking forward to 2014, hope it will be a fantastic year for everyone! I wish now everyone a Happy New Year since many countries have different time zones. Happy New Year to everyone all over the World. I will stay with neighbours, we will have Fondue, lots of booze and a small firework to welcome 2014. That sounds really nice Seaman! We are going to my brother in law and we all must bring something for dinner.